﻿My name is Melissa Boyles. I currently hold the position of Center Director at Madera Child Development Center. I hold a Site Supervisor Permit and am working towards acquiring my Program Director Permit. I am a wife, and a mother to two beautiful girls who continue to give me inspiration and drive to continue to provide services and education to the youth. I graduated from Fresno State University in 2012 with my Bachelors in Child Development then again in 2014 with my Masters in Early Childhood Education. 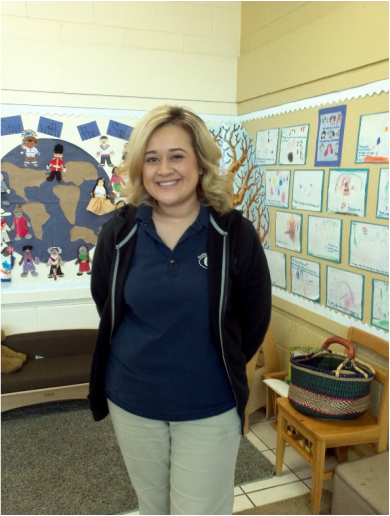 Before Quality Children’s Services, I worked with the Infant/Toddler Center at Fresno State, I worked as an RTI instructor helping primary age kids get to reading level in Central Fresno, and also as an instructional mentor providing tutoring services to low income families. I have always gravitated towards education, and truly found my calling and home with Madera CDC in December 2013. I enjoy my line of work, and I enjoy sharing my passion for learning new things with anyone who is willing to exchange knowledge. I have a penchant for social emotional growth in young children, dramatic play, and all things sensory, mathematical, and science oriented. My professional goal is to create or help others create curriculum and activities that helps ignite curiosity and creativity, encourage critical thinking and problem solving skills, as well as provide a stimulus for educational growth. With these items in place, the child will always succeed. My name is Rachel Garcia. My current position is Program Mentor at Madera Child Development Center. I hold a Site Supervisor permit and I was also a Teacher Mentor for the California Early Childhood Mentor Program (2010-20150. I enjoy my work; I’ve come to it in around about fashion. In 1990 I was the mother of 4 daughters, working full time at a printing company. My previous work experience consisted of; Headstart, a bakery, corn tortilla factory, bicycle-lawnmower shop, field work, etc. having my first child at age 19 left me with limited career choices. For many years, the bulk of my time, attention and energy went into raising my children and running out household. In the ten years at the printing company my husband and I alternated working day and night shifts so either he or I cared for our children during the day. The printing company closed in 2001 and I found myself unemployed, with some college but no direction. I enjoyed teaching small children and learning. Having been a parent and having spent so much of my life learning from them so to speak, when I returned to school I gravitated to Child Development classes. 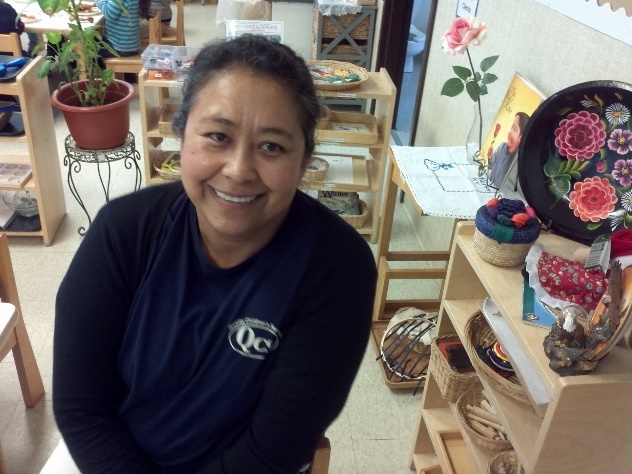 When Madera Child Development Center opened in 2001 I was hired as a substitute, then as an aid. I attended ECE classes wherever they fit into my work schedule. After further instruction I became a teacher. During this time, I was taking college classes at the same time as my daughters, and often I was the oldest person in the class. After many years of hard work and many setbacks I finally completed my Bachelor’s Degree from Fresno Pacific University in 2008. I live the philosophy it is never too late to do or learn something new. Working with and for children has truly been my life’s work, and I am pleased to be part of such a worthwhile and rewarding profession. This is Ms. Norma. 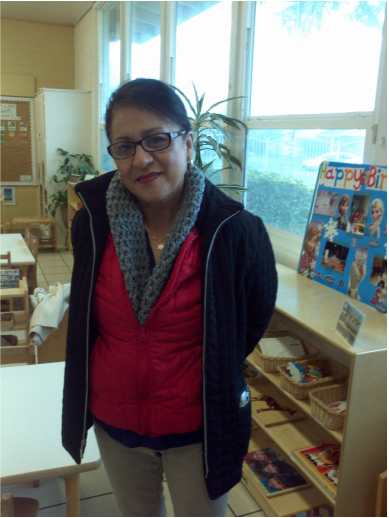 She is the office assistant for Madera Child Development Center. 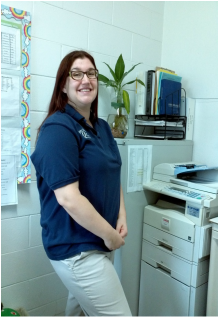 She has worked with QCS for approximately 2 years, and primarily completes enrollments, answers the phones and helps maintain enrollment goals for the center. My name is Petra Elizabeth Lugo Rodriguez. I have been married for 36 years with 4 children and 9 grandchildren. I graduated from high school as an adult and received my AA in 1996. I graduated from Fresno State University in 2013 and received a Bachelor of Science degree in Child Development. I hold a Program Director permit. 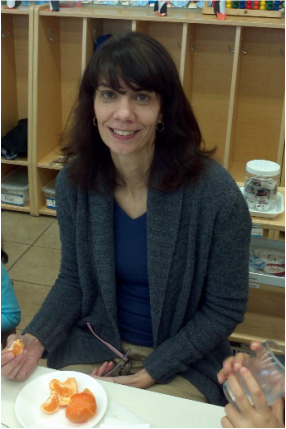 I have been working in the child development field almost 23 years as a teacher for five years and as a Center Director for 18 years. I have been employed at QCS since March 2015. I also manage a women’s soccer team for almost 14 years. 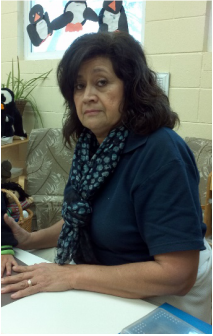 This is Ms. Mayra. 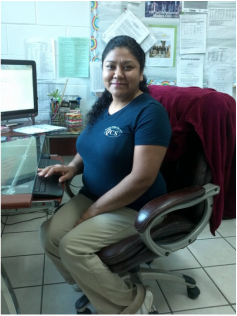 She has been working with Madera CDC for over 4 years. 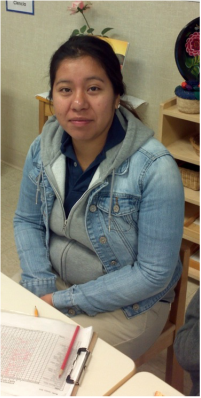 She is a teacher’s assistant in the part-day program with Ms. Jessica. ​My name is Maria Lopez Cortez. I was born and raised in Madera. I am 3rd generation Mexican-American. I can remember being very young and wanting to teach young children. I graduated from MHS in 1994, college in 1997 and decided to get my bachelor’s degree graduating from Fresno Pacific University with a degree in Early Childhood Development in 2008. My Philosophy: To provide a prepared and safe environment where children can explore and build an inner passion for learning by providing age appropriate, purposeful activities with adult guidance. I have 18 years of experience teaching young children and making a difference in their lives. I have grown professionally and enjoy learning something new each day along with my students who in the future will become community leaders! That is my goal. I have worked for QCS for 13 years and have a site supervisor permit. It is a privilege and an honor to work here by enriching young children’s lives as I teach them the Montessori philosophy. The first years of your children’s education are critical. Parents you are your child’s first teaches but by working together as a team we can make a difference in your child’s education. Thank you for letting me be a part of your children’s lives. “The creation of world peace begins with the child; the hope of humanity.” -Maria Montessori. ​My name is Ms. Wendy! I am an associate teacher in the all day program and this is my first year working in the field of Early Childhood Education. I am currently pursuing an Associates degree in this field. My hobbies include reading and cooking. 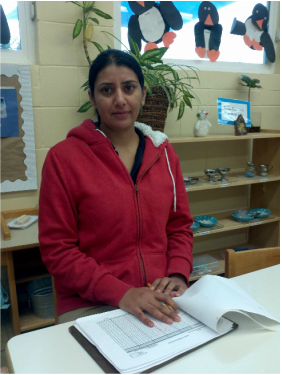 This is Ms. Davinder. 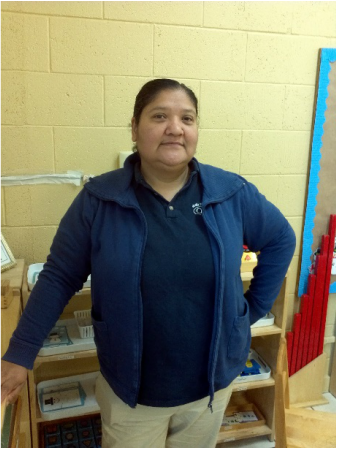 She is a teacher’s assistant in the full day program with Ms. Nelly and Ms. Wendy. She has been working with QCS for approximately 2 years. My name is Veronica O’Donovan. 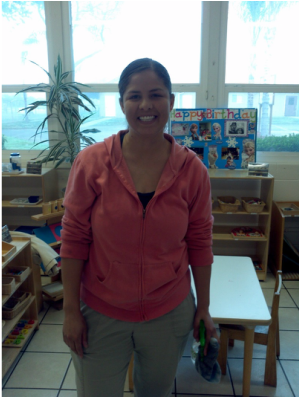 I am currently employed at Madera Child Development Center, teaching preschool. This is my eighth year in teaching. I decided to become an early Childhood educator because I believe that at this age is crucial stage in the development of the child’s intellect; a period of growth in which an educator may have a truly significant imprint on a child’s psyche that will ripple through the follow on stages of development in a child’s life. I am convinced that I can truly impact and have a positive effect on a child perhaps even more than at any other stage in a child’s life. I studied three years as a chemical engineer. I came to the United States and attended Madera Adult School for two years. I enrolled at Madera Community College where I obtained my Associate degree in Child Development. I hold a Master Teacher Permit. My first goal is to finish the final course that I need to obtain my administrative permit. One of my favorite Maria Montessori quotes in, “To let the child do as he likes when he likes when he has not developed any powers of control is to betray the idea of freedom.” Another quote from Steve Aitchison are, “Every single one of us has the potential to change someone’s life by just taking the time to listen to them.” And “Sometimes the reason good things are not happening to you is because you are a good thing that needs to happen to other people. My name is Mayra Nunez I am a mother of three. I have lived in Madera most of my life. As a young teenager I attended church regularly and I volunteered to teach the preschool age children. Through that wonderful experience I realized that I wanted to be a teacher and teach preschool age groups. I have seventy-two college credits and my Child Development Teacher permit. My future goal is to get my BS in Early Childhood Education. I have been teaching in this program for 13 years. 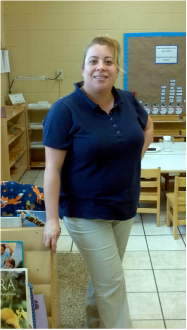 As a preschool teacher my ambition is to provide a safe and nurturing environment that fosters your child’s social, emotional, physical and cognitive development. I enjoy providing a comforting environment that allows children to explore their surroundings with their senses freely. To encourage socialization, I also aim to encourage socialization skills and prepare children for the primary education setting. These learning experiences cater to the needs of the children. My personal goal is to help every child reach their potential in every aspect of development. If we dream big, we achieve more than expected. My name is Ms. Betty. I have two years of experience in preschool. I have my associates degree. I am currently attending college and I have two years with QCS. I believe that a teacher must truly love what they teach to achieve greatness. I have a deep passion for art, and I want to infect my students with that passion and enthusiasm, no matter what aspect of art they are interested in. I also believe that every child deserves the opportunity to achieve his or her highest potential. Even as a teacher’s assistant I am responsible for preparing the future generation of our community leaders for academic, social and professional success. This is Mr. Herberto. He has been employed with QCS for 17 years. 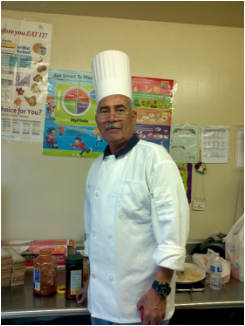 He maintains the kitchen, and provides nutritious home cooked meals for the students enrolled in our program. He serves breakfast, an AM snack, lunch and a PM snack. He also ensures compliance with all state food program guidelines.